Remember the Coca-Cola classic “I’d Like to Teach the World to Sing.” Steve Jobs did this. Or at least listen. Earlier this month iTunes announced that they had had their 25th billion download. To celebrate this milestone, iTunes gave €10,000 (which translated into US$13,525) to a German user whose download marked this occasion. Pumped up the Now: We get music and movies when we want, where we want, for a price less than most things you can buy. Singles not albums. Created a space for small: A low barrier to entry has helped grow independent labels and made it easier for niche bands to be discovered. “Whether you’re indie, major, whatever…iTunes doesn’t exclude any musician simply because they’re not yet established or popular,” said Wesley Schultz, guitarist and lead vocalist of The Lumineers. Made entertainment mobile: After the decline of portable music in the early 90s (CDs didn’t allow you to pack light unless you wanted to hear albums on repeat), iTunes allowed us to listen to a lot of music – and on different devices. So what was the 25th billion song? “Monkey Drums” (Goksel Vancin Remix) by Chase Buch! Great thinkers, leaders or innovators always emerge from a cutting-edge scene where a group of talented individuals from a variety of disciplines are pushing the boundaries of creativity. Consider Matisse and Picasso, who were part of French Expressionist movement, or the Beats’ Jack Kerouac; all were geniuses in their own right, but they were also part of a larger movement. Musician Brian Eno termed this as ‘scenius’ or a collective form of genius. This “ecology of talent,” as Eno puts it, is a great concept to describe the interaction between a scene or an environment and how it leads to collaboration between talented people. But this is not just a way to explain the formation of movements or genres within art. I think that it is a valid way to describe and better understand how leaders and entrepreneurs operate within the business environment. 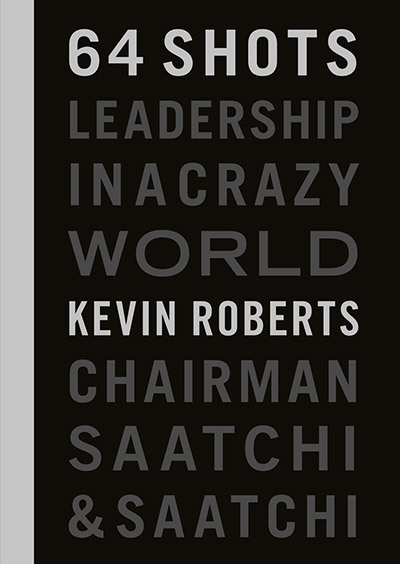 ‘Scenius’ in the business world is most commonly referred to as collaboration. It’s the concept of bringing together talented individuals from a range of professions and coming up with new and innovative ways to tackle problems. At Saatchi & Saatchi we call it ‘One Team One Dream. Nothing is impossible’. "They always say time changes things, but you actually have to change them for yourself". Here’s a reason to visit New York’s Times Square. Midnight Moments: A Digital Gallery takes advantage of the Square’s famous lighted signage and displays synchronized digital art every evening. For the month of love which is February, Tracey Emin is exhibiting. A couple of years ago I bought her neon ‘I Can Feel Your Smile’ which hangs in my Tribeca loft and gets every day off to a bright start. Her collection, I Promise To Love You is a moving series of neon work comprising of six written love messages, animated especially for the Digital Gallery by s[edition]. It’s about emotion, feeling and the intimacy of experience. Walk by and feel the wonder. On Wednesday night I was invited by an old friend, Allègre Hadida, to give the Annual Investec Lecture at Magdalene College, Cambridge. A splendid evening, much fun, a lively Cambridge audience of Magdalene fellows, Investec execs and MBA students, topped off by a wonderful dinner in the college's parlour hosted by a long-term hero of mine, the retiring Archbishop of Canterbury, Dr. Rowan Williams, the newly installed Master of Magdalene. We talked nonstop for two hours. Am still floating on air. To sit next to the head of your church is a privilege and a joy. An evening to treasure. A great man; a grammar school product and a Rugby man. A campaign by Saatchi & Saatchi Berlin has sparked a movement. ‘Days of Hope’ is raising the profile of homeless people in a number of European centres by enlisting TV stations to let homeless people read the weather. Viewers get a glimpse into what it is like to be homeless during Europe’s coldest months, and are invited to help eradicate the problem by making a donation. I agree with Oliver Kapusta, ECD of Saatchi & Saatchi Berlin, who sums it up: "This idea is an excellent example of the power of creativity and of how the Saatchi & Saatchi family take an idea and makes it big across all borders." As well as bringing much needed attention to the plight of homeless people, it shows the impact that a simple, powerful idea can have in driving awareness and change. Forget plans for the next 5 years. Scrap plans for the next 10 years. Look at BlackBerry. They knew they had to change their product but their competitors were fast and focused on delivering dreams, not upgrades. With a new product on the market BlackBerry may be getting some buzz but it’s taken a massive hit because of the time it took to execute. Fail fast, learn fast, fix fast. You don’t always need a new idea or strategy to stay competitive or take on the competition. When Facebook came along there were already players in the social networking space. Remember Bebo and Friendster? Hazy memories but once legitimate contenders. A similar product or service can be approached dozens of different ways. “There are not that many ideas for internet products that will be really good. It is really all about execution. Facebook too wasn’t a new idea but I think we took the idea and we focused on execution, focused on quality and getting to scale,” said Facebook’s previous CTO Adam D’Angelo. Hear that? Focus on execution, delivering on quality and growing scale. Sounds good to me. Youth, they say, is wasted on the young. But so too is taste. We start life with about 30,000 taste buds but by the time we’re adults only a third of these remain. Talk about sensory deprivation! It also makes sense why so many of us were repelled by vegetables when we were children. If you think that Brussels sprouts taste horrible now, try turning up the volume by two-thirds! The fact is that we lose taste, we don’t gain it. So it is quite literal when we say that our tastes change as we get older. The cravings we have for sweets when we are young is replaced by more complex, sophisticated tastes of sour, salty and robust flavours, which explains why I enjoy a hearty meal of game and my granddaughters light up at the sight of ice cream. It seems a waste that when we are young we are less adventurous with our food choice. We have the ability to taste more, but don’t have capacity to appreciate the experience. And so it is with many things when we are young. Just because visitors and passengers pass through airports, it doesn’t mean that airports should pass over passengers. Airports have generally developed a monopoly mentality. Customers don’t have a choice, and many don’t bother enough to make the experience irresistible. Frustrated with this, maestro marketer Seth Godin recently blogged about the mistakes airports make and what businesses can learn from this. Here are three of his insights followed by three of my own, as I’ve been through about as many airports as I have had hot dinners. Who’s in charge? Airport CEOs never seem to be accountable or even appear when mistakes are made. If the person at the top doesn’t lead then airport staff will become rudderless. Spontaneity is lost. Imagine an airport worker supplying an extension cord and a power strip to cater to a group of travellers waiting for their turn at a power outlet. Unlikely. We’re not all the same. Personalize the travel experience. Effective organizations treat everyone differently, not just first-class customers. Nothing is free. At airports we have to pay for just about everything, and there are still airports where you have to pay for internet access! Airports need to help us stay connected. A place for products. Successful companies know the importance of product placement. Airports should take the opportunity to exude their city or country’s culture so that even transferring visitors can get a taste of what they’re missing. We need a disrupter. Related to Seth’s first point, we need someone to take the lead on airports. We have great airline leaders like Sir Richard Branson, but we need a Boris Johnson-type personality to rustle a few feathers in the airport industry. Edge theory – the idea that change happens at the margins, free from the stifling orthodoxy of the centre – is something I have often spoken and written about. It was great to see this concept make its way to the pages of the Harvard Business Review in an article by Professor Jeff DeGraff from the University of Michigan. Jeff suggests that it’s easier, more efficient and more valuable to innovate from the edge than the centre. That’s where all the risk and creativity happens. It is also where reward is most visible. Jeff proposes that we do away with the classic 80/20 management rule of “doing more with less” and look at 20/80. Work to change 20% of your company by 80% instead of trying to change 80% of your company by 20%. Identify the people and areas that are catalysts for innovation. Work with them. Nurture them. Get them to share their thoughts and ideas. You can work this theory in your life too. Find out which part of your life drives change and put your effort there. You’ll end up getting more by doing less. The maître d’ of a restaurant is a like a stage manager of a theatre production. The food is the star, the chef is the director and the ambience is the set. You can go to a play by a famous director, but if the stage manager is no good at his job, you’ll have chaos. Though chefs have been elevated from backroom labor to headlining celebrities, the maître d’ is the unsung hero of a great restaurant experience. Bouley and Batali may be familiar names on TV and in cookbooks, but the unassuming maître d’ is often the diner’s first and last point of contact. It’s the maître d’ who transforms a great meal into an extraordinary night. Call it craft, performance or science, maître d’s are masters of customer intimacy. In a world where a single city can boast hundreds of restaurants, their job is to make sure that people will return – and they do it by first by regarding people as friends. There’s a lot we can learn from these ‘artists of the dining room’. Top class maître d’s are very good at reading people. They foster relationships through genuine conversation and are attentive to each individual’s needs. It’s not just about setting tables. To help create rapport through good conversation, Eric Rousseau from Relais Bernard Loiseau makes his staff read the papers every morning so they are up to the play with what’s happening. Attention to customers’ needs and a relentless pursuit of excellence are also skills synonymous with professional maître d’s. Shin Miyazaki from Chateau Restaurant Joel Robuchon in Tokyo was crowned the best maître d’ in the world last year. "I practised every day for years, I'm hooked, and now I get this award," he said. "But this is only the beginning, tomorrow I go back to work to do my best." Imagine if that was the spirit of every person in your company! Mobile phones and tablets can be life savers but they can also be anchors that drag you down. You may be able to carry your desk in your pocket, but it also means that your work follows you everywhere. People need to unwind. They need to experience life! You need to get out and do things. Your eyes – and travel companions – will thank you. In response to the realization that we are spending too much time staring at screens during our vacations, a number of hotels are offering guests the option to take a holiday from their gadgets. Call it a ‘Braincation’ or ‘digital detox’. Surrendering your mobile phone and tablet isn’t such a scary idea. The Lifehouse Country Spa Resort in Essex even has a “BlackBerry crèche” where your phone can take timeout. Or if you just can’t bear others missing out on your holiday fun, then do like The Madison Hotel in Washington, D.C., and hand the responsibility over to a dedicated social media butler, who will tweet and post updates on Facebook, Instagram and Pinterest. I’ve been a proud New Zealander for the past 24 years and have taken my citizenship seriously by contributing when and where I can through teaching, mentoring, sponsoring, and speaking positively about the country throughout the world. So it was a nice surprise this week to see my words being quoted by the Governor-General of New Zealand (he represents the Queen) Lt Gen The Rt Hon Sir Jerry Mateparae, GNZM, QSO (great title!) in his Waitangi Day address. The national holiday observes the treaty between the government and the indigenous people of New Zealand, the Maori, which addresses the injustices that marauding colonial powers typically inflicted. The Treaty is a living document and is the basis for one of the most advanced recognitions of indigenous rights in terms of land, resources, and economy. 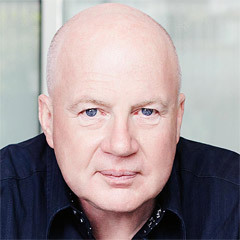 He continued: “That legacy of the new way of doing things was well put by New Zealander and Saatchi & Saatchi worldwide chief executive Kevin Roberts a few years ago when he said: “We were the last to be discovered and the first to see the light. This makes us one of the great experimental cultures. We try things first. Whether it’s votes for women, the welfare state or the market economy, powered flight, nuclear physics, anti-nuclearism, biculturalism. First-isms. The New in New Zealand is our reason to exist.”"
Bravo Sir Jerry. There are a bunch of First-isms that the country continues to either grapple with or ignore. These include world-firsts in youth suicide and child abuse together with world-ranking status in imprisonment laced with institutional racism. There are government departments and think tanks dedicated to addressing these issues but to my mind the needle hasn’t moved on the problem. I have no doubt that the complexities of these issues are faced by dedicated people every day, however I believe the root cause of the malaise is in the failure by successive government to articulate a clear, compelling and inclusive purpose for the country. We do pretty well on many counts but generally most of New Zealand likes to puddle along. Crazy, rogue individuals do brilliant things like starting a new creative industry or inventing a new algorithm or have an idea for exporting pavlovas, but overall contentedness and complacency seem to be cultural imperatives. I am a strong believer in the emotional power of language to overcome rational obstacles. My “one team one dream” purpose for New Zealand is “winning the world from the edge” and if this was powerfully articulated by our political leaders there would be more action and execution and less assessing and deciding. Guv Sir Jerry, please feel free to quote me again. Wordsworth once said that Grasmere is the “loveliest spot that man hath ever found”. I agree. It is a sanctuary from which I draw inspiration. Wordsworth wrote many of his most famous poems in Grasmere and you can find him buried in Rydal, not far from his home, Dove Cottage. Reading poetry increases activity in the right hemisphere of the brain, which is associated with reflection, making connections and creating new thoughts. New research actually shows that classic literature such as the works of Wordsworth and Shakespeare are brain boosters that have a beneficial effect on the mind, triggering valuable moments of self-reflection, creativity and contextualising. Using scanners that monitor brain activity, academics at Liverpool University compared brain activity when volunteers read the classics as opposed to translated, more modern versions of the same material. The scans showed that the classics set off much more prolonged electrical activity in the brain, especially when volunteers encountered more challenging words or phrases. Apparently the affects are as good, if not better, than self-help books. It’s impossible to buy anything today that doesn’t work and isn’t well made. Consumer appreciation of design and production has evolved to the point whereby making junk just isn’t profitable anymore (some manufacturers tried it in the past but internet-enabled consumer power has overtaken them). We expect things to be well made, not fall apart, keep on working. You can buy quality stuff in $2 shops today. Apple and Nike have been among the most visible design-led companies, though most consumers don’t give a moment’s thought to the people who are giving the prime of their lives in massive far-off factories to assemble these products. (These craftspeople should be paid sustainable wages and have better working conditions, and we as consumers should foot the bill and feel happy about doing so). Craft movements are alive and well throughout the world. From eat-local artisan foodies (Brooklyn NYC has been called the “Silicon Valley of food”) to the high-end homesteaders who pay $58 for a garden hose and $70 for a Williams-Sonoma vintage watering can with inbuilt scuffs and scratches. Monocle magazine is awash with crafted bespoke products such as hand-sewn Oliver Spencer designer shoes named for the native Passamaquoddy Indians of Maine, to Young & Norgate contemporary handmade furniture in American walnut and Oyuna scarves made from Mongolian cashmere, through to wasabi grown in the English countryside. I am not sure if the craft levels in advertising are any more passionate than they were when I started in business. Typographers, for example, are as obsessive today as they were 45 years ago, only the equipment has gotten exponentially better. My benchmark for craft in advertising is this: whether it’s a CGI-laden Super Bowl spot or a piece of laundry packaging, does the work convey Mystery, Sensuality and Intimacy? People can instantly tell. Design has become democratic and visual literacy is widespread. An ordinary average person can walk through the contemporary art wing of the Met in New York and intuitively tell that the Rothko is colorful but ho-hum, the Jasper Johns is good but not great, the Rauschenberg is so-so but the Pollock (Autumn Rhythm Number 30) is absolutely drop-dead stunning. This says to me that craft is all very well but aesthetics still rule the day. Humans are visual thinkers first and foremost. We remember 20% of what we read and 80% of what we see, which is a constant battle with clients who want to cram more information about product benefits into a communication thinking this will be more persuasive. It won’t be. We respond emotionally to what we see, hear, smell, taste – and if we’re fortunate, the shopper will pick the product up and touch it. This is when craft kicks in – how does it feel, is it well made, is it good to handle? Being happy at work means that you’ll be more productive and that success should come as a result. The opposite − a workforce that is disengaged, unmotivated and basically unhappy − is poisonous. Disengaged workers cost the US economy $350 billion a year in lost productivity. So it’s not just about morale. It becomes a social, cultural and economic problem. Remain committed to perpetual improvement. Support staff to meet their goals and let them learn from mistakes in the process. Develop movement and change. Status quo is not an option. Create meaning. Having a meaningful impact in the work we do will always help motivate and elevate. Recognize staff. Let staff know that what they are doing, no matter how small the job, is integral to the big picture. Humans first. Show empathy and an interest in staff and they will feel more connected and valued as human beings not just workers. Integrate. Offer some flexibility to staff so that they can stay engaged with life outside work. Offer flexi time and make sure workers have time to exercise. Being tuned into life outside work helps us plug into work. Though there is a lot of inspiration online, sitting in front of a screen all day will not be the catalyst for your next big idea. We have yet to really understand the affects of the constant use of technology on our brain, but research by Prof David Strayer indicates that we need to prioritize getting out and smelling those roses a whole lot more. Strayer teaches cognitive and neural science at the University of Utah and has performed experiments that show that people get better at problem-solving and creativity when they have spent time outside in nature. Maybe it’s a physicality of it, or the calm of quiet, or the magnificence of biology. Our brains get a boost being out in the world.